Oh man, I am reinventing science fiction with this one! You can take the computer out of the dinosaur but you can’t take the dinosaur out of the computer. This dinosaur has a mega-BITE! This is one computer that um, has itunes and uh… it will eat you. You should do a whole series with him ! I remember when this happened in an Arthur C Clarke novel. Compusaurus needs a saddle so I can ride it. I WILL BE UNSTOPPABLE! 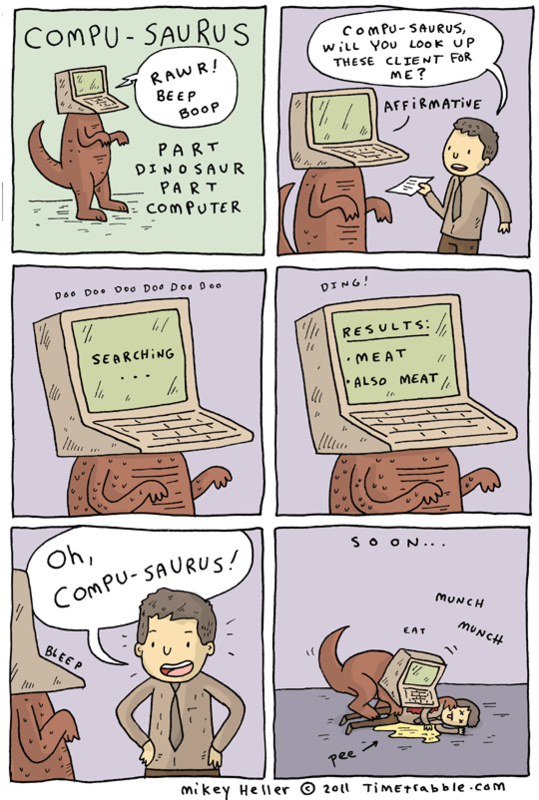 I used to own a Compusaurus 64!